And nothing can capture the pristine beauty of both home and land like vibrant photographs. Welcome to our Photo Gallery! Take a moment to view just some of the many photographs of our beautiful estate. Immerse yourself in the rich colors and warm textures inside and out! Simply click on a thumbnail photo to view the larger version of the photograph. Come back again and again as we add new photos all the time! Q: Does Huntingdon County offer outdoor recreation opportunities? A: Approximately 135,000 acres—roughly 24 percent of the county—are available to the public for outdoor activities including camping, picnicking, hiking, hunting, fishing, boating, and cross-country skiing. Trout, bass, striped bass, walleye, muskie, perch, carp, and Atlantic salmon are a few of the many warm and cold-water species living in the county’s waterways. Raystown Lake, with its multiple thermal layers, is home to a fish population as diverse as you’ll find anywhere else in the state. Catches at the lake include a 47 lb. 13 oz. striped bass, a 17 lb. 14.5 oz. brown trout, a 10 lb. 6 oz. Atlantic salmon and a 46 lb. muskie. President Jimmy Carter is among the many anglers who have wetted lines in the natural trout streams in the northern part of the county. 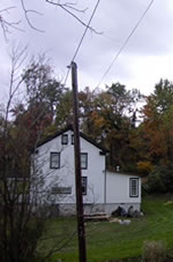 Huntingdon County is home to several fishing clubs. Tournaments, both public and private, are regularly scheduled.